It was only a few days ago that we spoke about the withdrawal of the export tariff for solar power and how this may impact in a negative way on people buying solar panels for the first time from 1st April 2019. Well, the government has just announced that it is to consult about the introduction of the Smart Export Guarantee (SEG) Scheme. Apparently, the scheme would ensure that suppliers of electricity such as large electricity companies would reward small-scale low carbon generators for the surplus electricity the likes of homeowners with solar panels on their homes generate that is then exported to the national grid. Depending upon the figures involved, this could be good news for many homeowners and business owners who could find that they are remunerated for passing on any surplus electricity to the grid. Obviously, until it is known how much may be payable to homeowners for their surplus electricity then it is not possible to establish how beneficial such a scheme will be. Having said that, it would appear to be a potential step in the right direction and may provide a boost for the solar panel industry. We wait with interest to hear the outcome of the consultation. The government is seeking responses from various areas including consumers, aggregators, suppliers, trade associations, suppliers, small scale low carbon electric generators as well as other parties that are likely to have an interest in solar power. The closing date for responses is the 5th March 2019. Here at Solar Panels UK, we will endeavor to keep our readers up to date with any developments in relation to the above. The solar panel industry has not had a good time of things over the last couple of years or so. Therefore, it would be lovely to have something positive to talk about the solar panel industry here in the UK in the coming months. It has recently been announced by the Government here in the UK that it is not only to stop the generation tariff under the feed-in tariff scheme but is also to end the export tariff for new installations from 1st April 2019. This news will not have been well received by many in the solar industry and will come as a blow to many homeowners and business owners who have been considering having solar panels installed after that date. At the present time, the export tariff is an amount that is paid to owners of properties who export surplus electricity into the national grid. It is disappointing to hear that this tariff is no longer going to be made available for new installations. It will be interesting to hear if the Government intends to introduce something to replace the export tariff. Yes, the price of installing a solar panel system has reduced over the last couple of years or so but anything that can be done to help make having solar panels fitted by people has got to be welcomed. Yes, there are no doubt quite a lot of people who see the benefit to the environment in having solar panels fitted as this could help lower carbon emissions both now and in the future. However, there are possibly more people who are attracted to having solar panels fitted because they have been able to see some monetary benefit in doing so. If having solar panels fitted is not going to be as financially appealing then it is quite possible that there will be fewer homeowners having solar panels installed here in the UK and that is not good news. Needless to say, here at Solar Panels UK, we will keep our readers up to date with any interesting developments relating to solar panels. Let us hope that we get some good news at some point in 2019. Solar panels are used for so many different products these days apart from the most popular use of being installed on the roofs of some residential and commercial premises to help generate electricity. We have previously mentioned some of the products that use solar power but we thought that we would briefly discuss another one and that is a solar yacht produced by Silent-Yachts. Silent-Yachts produce a number of boats that use solar panels with the range starting with a 54.8 foot vessel that comes with a 9,000 wp solar generator. Depending upon the power configuration the boat is capable of travelling between 12 knots and 20 knots per hour. With the use of solar power it obviously makes for very quiet trips. Potentially, just when using power produced from the solar panels, it is possible to travel as much as 100 miles in a day as well as operate the domestic appliances on board as well as the likes of the other amenities such as the air conditioning. There are also a couple of other larger Silent-Yachts – the Silent 64 and the Silent 79 that you may wish to also look at. We have to say that it does sound rather appealing to be able to relax on a boat in the sunny Mediterranean and listen to the waves as you glide through the water being powered as a result of sunlight. It is amazing to think just how many things solar panels are being used for these days around the world such as in public car ports to help charge up electric cars and the fitting of a small solar panel to the back of a rucksack to be used by a walker to charge up a mobile phone. There is no doubt that solar power is here to stay and presumably someone will come up with a new product that can be charged up using this source of energy for the benefit of people. After all, using solar panels is not only potentially cost effective but it also can help lower carbon emissions both here in the UK and in other countries around the world. As with most things in life, the average cost of buying and having installed a solar panel system for your home will vary. In very simple terms, the cost will depend upon how big a solar panel system is required at your property and this tends to depend upon how big your property is. In addition, there are numerous companies here in the UK that supply and fit solar photovoltaic panels and their prices will no doubt vary between themselves. 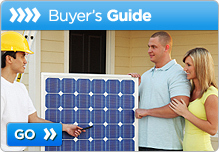 As a general rule, you may have to pay between circa £6,000 to £9,000 to buy and have fitted solar panels. Obviously this is a sizeable sum of money and you will need to work out if it is a long-term viable financial proposition to have such panels installed. The cost of buying solar panels has reduced over the last few years which is perhaps not surprising as when some new things come out they often cost more to buy than they do say 5 to 10 years later. Just look at how much more affordable mobile phones have become over the years. 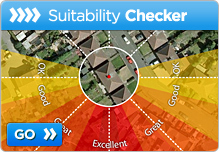 When assessing whether it is financially worth your while having solar panels fitted it is also worth noting that the feed-in tariff scheme is scheduled to cease from April 2019 for new installations and, for many homeowners, that tariff has been of benefit in making the decision to have solar panels fitted to their homes. 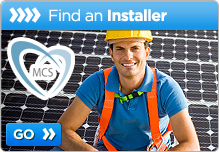 If you are considering having solar panels fitted then why not get in touch with a number of reputable providers who should be able to visit you at home and advice you as to the most suitable solar panel system for your property and calculate the purchase and fitting costs and discuss with you whether it is financially viable to have such a system installed. 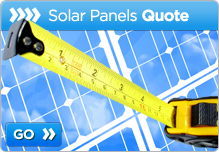 Here at Solar Panels UK, we can put you in touch with some providers who will be happy to provide you with a quotation. We very much look forward to being of assistance. It is well known that the number of homeowners and business owners having solar panels fitted on a monthly basis has dropped over the past couple of years or so due to the Government reducing the financial benefit to people having solar photovoltaic systems fitted. However, according to data produced by the Department for Business, Energy and Industrial Strategy on the 27th September 2018 that can be viewed on the www.gov.uk website, there has been a rise in the deployment of solar capacity in August 2018. In August 2018, some 12.51 MW of solar PV capacity was installed here in the UK with this emanating from 3,286 installations. As at the 31st August 2018, the amount of solar PV capacity amounted to 12,933.8 MW. This involved 960,231 solar panel installations. As you can see, we are not far short of 1 million installations. There is no doubt that more needs to be done to encourage people to have solar panels fitted either to their homes and/or their business premises. If the UK is to meet solar capacity and carbon emission targets in the next few years an awful lot more needs to be done to encourage people to take the step and have solar panels fitted. Yes, there will be some people who would have such an installation carried out for the benefit of the environment as this would lower carbon emissions but there will be a number of people who are doing it for the potential saving that may be achieved. There are still an awful lot of businesses that supply and fit solar panels here in the UK so it pays to shop around to try to get the best deal. If you are considering having solar panels fitted then why not get in touch with a number of providers and see if they will come to visit you at home or your business premises to discuss your requirements and arrange to provide you with a no obligation quote for your perusal and consideration. You may be interested to read the “Expert briefing note for Labour on wind, solar and energy efficiency” published this month. Amongst many things, it states what the Labour party feels is achievable in respect of solar capacity in the next few years should it get into power very quickly. The document was produced by a number of professionals and industry specialists. The Labour party would like 60% of the UK’s heat demand and non-transport electricity to be produced by low carbon and renewable ways by 2030. Based upon figures for 2016, only 9% of the above is produced in this way. In particular, in relation to solar power, the Labour party would like to see solar capacity reach a level of 35 GW by 2030. This is a huge increase on its current level that in 2018 stood at 12.8 GW and would require solar capacity to increase by around 2.2GW every year. It predicts that 2.5 million homes in the UK would have solar panels fitted and that some 70,000 new jobs would be created by 2030. The above news may well have been welcomed by many within the solar power industry in particular those companies involved in the manufacture and installation of solar panels. Since the present government made changes to the feed-in tariffs scheme some time ago, the interest shown by people and businesses in having solar panels fitted to the roofs of their homes and/or business premises has dropped and there is no doubt that something needs to be done to revive people’s interest in having solar panels fitted. It will be interesting to see if the Labour party wins the next General Election and, if so, how quickly it puts in place systems to make the above happen. Those of you operating in the solar power industry will no doubt keep a close eye on what happens in this respect. Here at Solar Panels UK, we will keep our readers updated periodically should anything of interest happen in respect of the above. In the meantime, if you are considering having solar panels fitted, why not let us put you in touch with a number of solar panel installers who will happily provide you with a free, no obligation quotation. A few days ago, the European Union announced that import tariffs on the import of solar panels from China were being lifted. These tariffs were introduced around 5 years ago so had been in place for an awful long time. The reason why they were introduced was that China was believed to be selling solar panels at a lower price than was felt to be acceptable. Apparently, it was felt that as the price of solar panels has been reducing over the last few years that the import restrictions were having a progressive drop in benefit in countries within the European Union. The news was no doubt met with a mixed response with a number of businesses no doubt not supporting such a decision as this would create increased competition from what is the largest manufacture of solar panels in the world. It will be interesting to see if the decision will see the price of solar panels fall even further. Here in the UK, we do need to see something happen to help increase the number of homeowners having solar panels fitted to the roofs of their homes. In the last 2 years or so there has been a slowing down in the interest in having solar panels fitted. This was due in part to the changes made by the Government in the feed in tariff scheme. If you are considering having solar photovoltaic panels fitted to your home or business premises then why not get in touch with us and we will arrange for a number of local suppliers and fitters to make contact with you in order to provide some quotations without any obligation to proceed. A representative from the companies concerned will happily visit your premises to discuss your requirements. It may well be that, over a number of years, you could make a reduction in your electricity bills and you will also be helping reduce carbon emissions.